I enjoy the challenge of recreating props from classic movies. There's often just enough information in screenshots and promotional bits to get an idea of how a thing fits together. In this case I had a commission to recreate Ash's shotgun holster from the second Evil Dead movie. I probably spent more time researching this particular prop than anything else I've done in awhile. 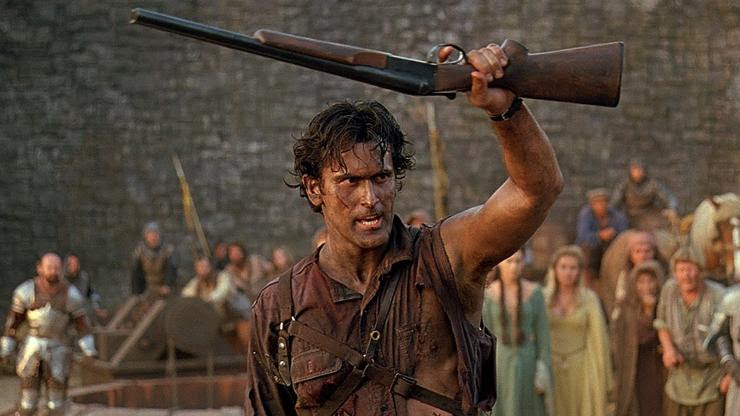 In the movie, Ash seems to be make his holster on the fly out of belts and an old flap of fabric. It has a cobbled together sort of look without a whole lot of "polish". 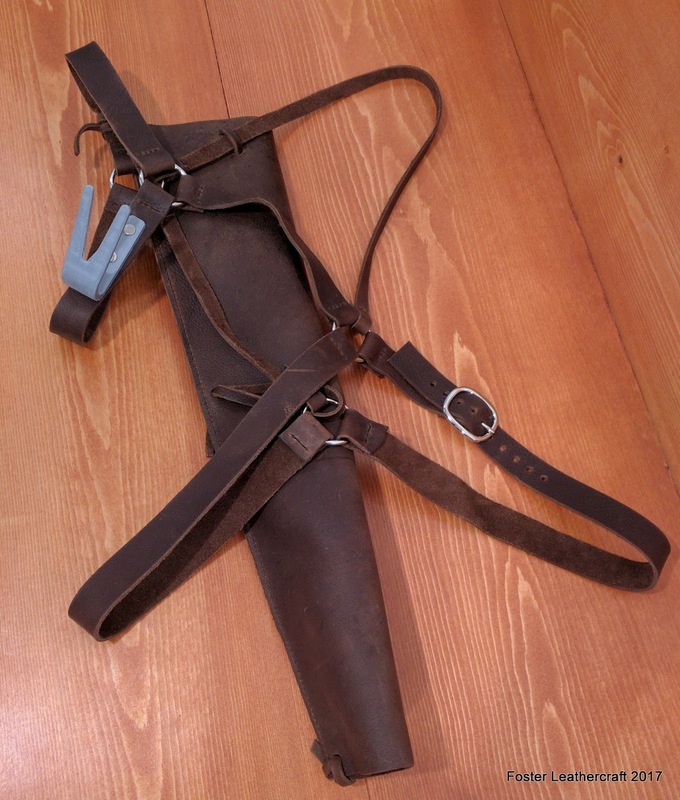 The holster is really just an open sleeve that looks to be tied onto the harness in some way. And then there's a metal hook under the right shoulder that blends in with his shirt in nearly every picture. The tricky part here was in sizing all the straps and rings that make up the harness. Few of the movie screenshots were clear enough to take measurements from and the really useful measurements would've been impossible to make while the thing was being worn. It took a fair amount of reverse engineering and measurements from the client to come up with a draft. I wasn't terribly sure about how it would all sit so I made a mock-up out of suede lace and spare hardware to test the ratios. 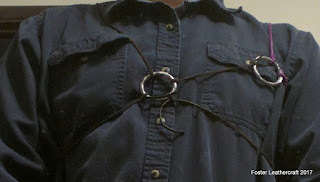 Then I just had to adjust the straps to the client's measurements. If I'd had any sheet metal (and the tools to work/cut it) the hook wouldn't have been too difficult to fabricate but as it was I wound up 3D printing it. I'm pretty happy with the final result. It should be smack in the butter zone between being solid and looking cobbled together. 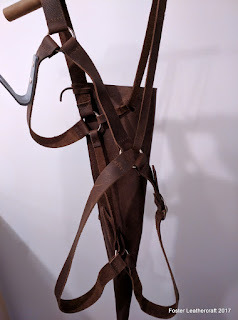 The holster is tied to the harness in a way that the client will be able to adjust it to their fit. I guess you could say it's... Groooovy. Howdy. I do still sell these but wouldn't be able to ship one for 3-4 weeks at the moment. If you're still interested please shoot me an email (fosterleathercraft @ gmail) and we can take it from there.